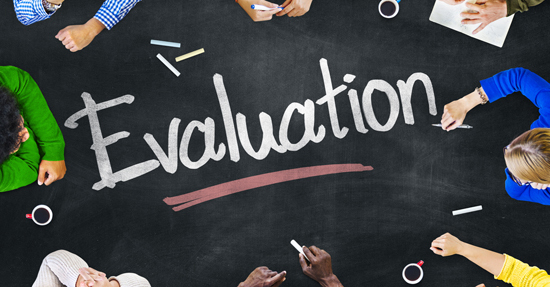 Teachers should study their school’s evaluation criteria and prepare for their own review, experts say, making the most of a process that, despite its flaws, can improve their teaching and make an impression on their principal. Anxious teachers, overworked administrators and a host of others argue that the evaluation process has it flaws, but is not likely to go away. With passage about a year ago of the Every Student Succeeds Act (and the likely approach of the Trump administration), responsibility for the structure of evaluations is shifting to the states, each having a variety of policies but perhaps not offering dramatic change. 1) Do your homework. “First, teachers must know the exact criteria,” says Furman University education professor Pat Hensley, who promotes teacher performance with a blog called Successful Teaching. You will be judged on some combination of learning objectives, student test scores, peer feedback, lesson plans, self-assessments, parent surveys, student work, a portfolio, examples of professional learning and observations. “Knowing what is being looked for, and, more importantly, what each domain looks like in a classroom, will minimize surprises,” says Jayne Ellspermann, principal at West Port High School in Ocala, FL. 2) Show off. Peter Fusaro, principal at Flathead High School in Kalispell, MT, says you should build a relationship with principals, clearly understanding that administrators are busy (and have dozens of other staff asking for desk repairs or more heat in their classroom) but appreciate good work and want to evaluate it fairly. He suggests teachers encourage walkthroughs and visits. This sort of “formative” observation can generate good relations, provide an opportunity for feedback and refinements and deflate observation pressure. Participation in the school and visibility for you and your students’ work also helps. 6) Stress test. Hensley says teachers must be well prepared and show off strengths, but also a variety of skills, carefully including what observers want to see. You should practice, she says, and have alternative plans and extra work in case they run short. Also, in a school, things happen, and you should plan for meeting or observation times changing. 7) Class considerations. Work with the personality of a class being observed, talk to the students in advance and don’t worry about behavior issues but be prepared to manage them. Focus on students and let them show a variety of skills, says Fusaro. 10) Don’t pout. Unfair assessment details often will dissipate with success and may be something you can learn from, though you should dispute or disprove them if necessary. “Do not take negative comments as a personal insult but rather as an opportunity to change teaching methods and meet the students’ needs,” says Hensley. Gather the valuable feedback, make the changes and show your growth.